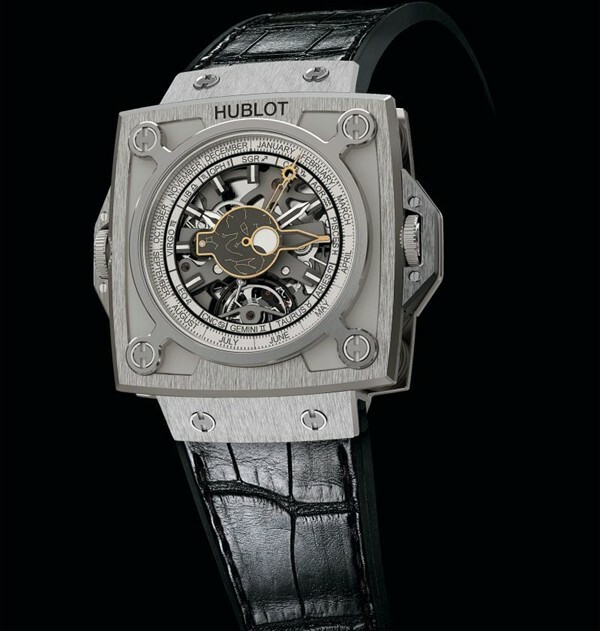 The Antikythera Sunmoon by Hublot is a tribute to the Antikythera mechanism discovered in Greek waters in 1901. The mechanism is considered to be the “astronomical calculator” in the history of humanity and dates back to sometime between 150 and 100 BCE. The Antikythera Sunmoon is indubitably Greek-like, with astrological symbols on the chapter ring and constellations on the hour hand. 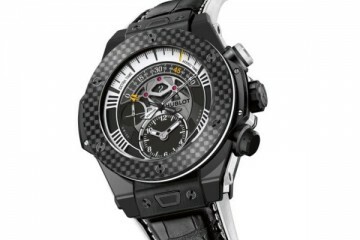 It features only sun and moon indications both of which can be found on the dial side. It also includes both a solar and lunar calendar, as well as showing the sidereal position of the sun and the moon. This means that besides being able to read the time, the wearer can – with extreme accuracy – ascertain the phases of the moon, the name of the constellation hidden behind the moon and the time required for the moon to pass across the constellation. Likewise, for the sun. 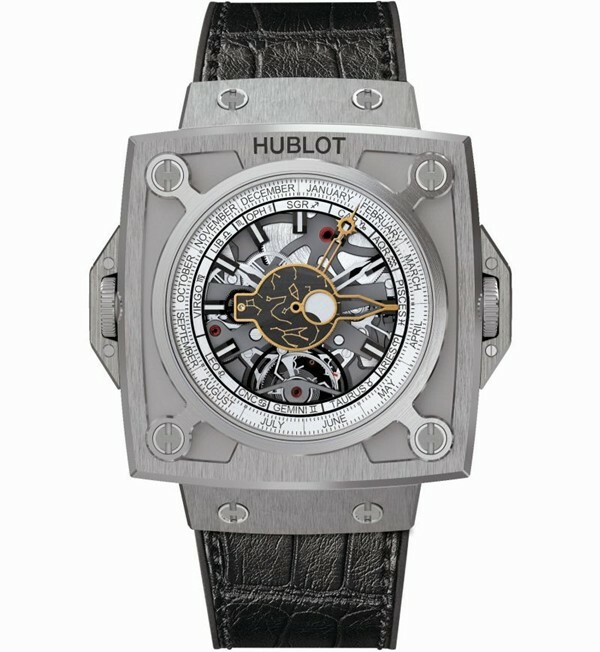 With a 21,600 VPH (3 Hz) frequency and a 120-hour power reserve, the movement contains 295 components and seven complications. 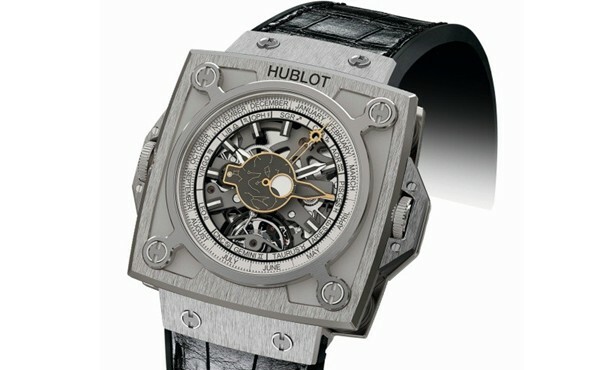 Hublot will create 20 pieces.